Chicago Cubs Championship Stretched 16" x 16" Canvas. Shipping Included! Home > Pictures > Chicago Cubs Championship Stretched 16" x 16" Canvas. Shipping Included! 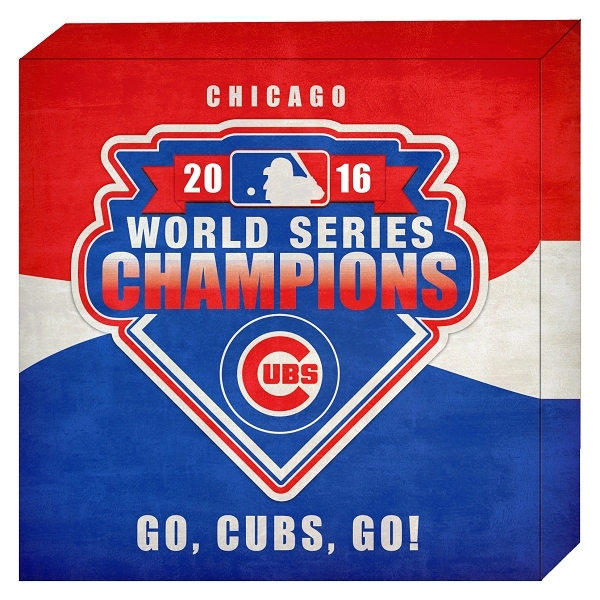 This is a very nice canvas and will display your Cubs pride on any wall. It is a 156"x16" Canvas Printed on high quality gloss canvas with archival ink. Will not fade or run. It is already stretched on a frame and is ready to hang out of the box. The price includes shipping in a sturdy picture box.